For your protection you must select a shipping insurance option from the drop down menu above. The Pinball Wizard packages these sensitive electronics very well. However there is a chance they can be lost or damaged during shipping. We recommend you select this option for your own protection. 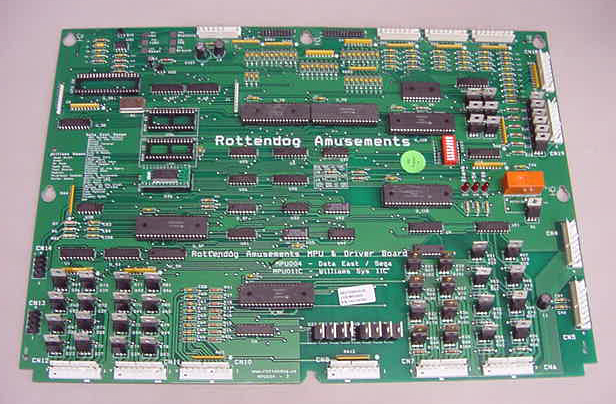 Rottendog boards are plug-and-play compatible with the original board set (assuming the common 512k Game ROM). No special tools or mounting tricks are required and the swap can be done by even the most novice of "installers". - Williams WPC type mounting holes for ease of install / uninstall. 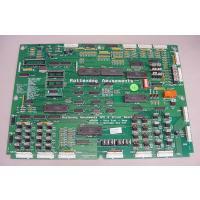 Most of our distributors offer this board without game ROM(s) and Microprocessor. This is done to keep the price of the board as low as possible. The Game ROMs and Microprocessor rarely go bad and are socketed so they can be moved from the original board to our board with minimum of effort. Please check with the distributor you choose to see which chips you may need to move! Call us direct if this confuses you.